Fat and Happy Food Blog Tips and Techniques: If you don't have time to soak the almonds, toss them into the steeping tea so they have a chance to soften before blending them. 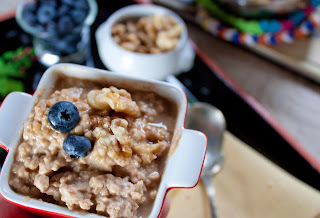 Choose gluten free oatmeal to ensure a GF option. Cover the almonds with water and soak overnight; drain and rinse. Steep the tea, clove and cardamom pods in the hot water, about 5 minutes, strain. In a blender, blend the steeped tea, almonds, cinnamon, vanilla and 1 tablespoon of maple syrup until a smooth milk forms. 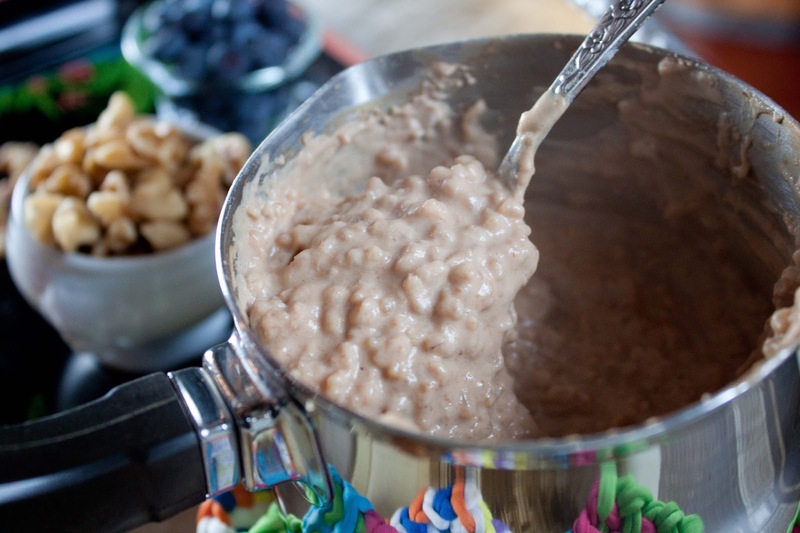 Straining is not needed, any remaining tiny nuts will be cooked and add texture to the oatmeal. 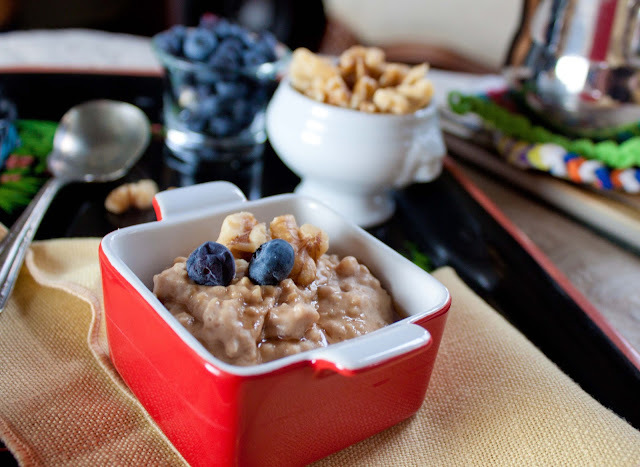 Cook the oatmeal in the chai milk until desired tenderness is reached. Top with a drizzle of maple syrup and nuts.